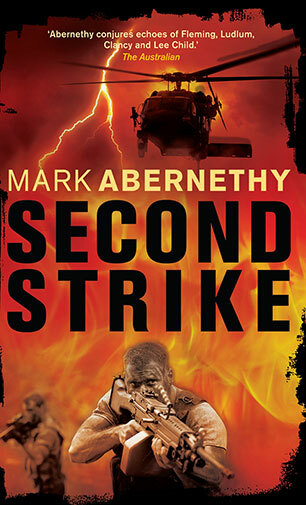 Mark Abernethy is a speechwriter, ghostwriter, journalist and author. Born in New Zealand, he has lived in Australia for most of his adult life. A former editor at Australian Penthouse magazine, he has also written for the Australian Financial Review. I was first published by my campus newspaper at Victoria University of Wellington in the 1980s. My first attempt at a novel was on the Gold Coast in 1991 (it wasn’t very good). What was the inspiration for you to become a writer? I read Dr No when I was nine, on a tip-off from a friend, and I subsequently churned through all the James Bonds in a couple of months. Later in life, I was at uni and I had to admit to myself that the only part of it I enjoyed was writing the essays. The Hunted, Elmore Leonard. The Age of Extremes, Eric Hobsbawm. Where Men win Glory, Jon Krakauer. Ian Fleming, because he got me reading at a time when Narnia, The Hobbit and Robert Heinlein were the big things. Fleming made me a reader. Robert Ludlum: when I first read The Matarese Circle I loved the sensibility and it made me think I could try writing my own stories. Elmore Leonard, because when I was a teenager I thought it didn’t come much cooler than this. Counter Attack came about after a conversation with a history academic who made the comment that the disputes around the Sea of Japan – between China, Japan and the Koreas – was potentially the most dangerous situation on earth, and certainly a massive threat to Australia’s economy and wellbeing. It fit well with the theme of private intelligence contractors doing deniable jobs for governments. I had a lot fun blending fact into fiction as Mac visits Indochina. Yes, I have vivid memories of my first visit to Saigon in the early 1990s and some of those weird people and their methods made it into Counter Attack. Many of the people Mac deals with in Cambodia are absolutely real, although I changed the names. And of course, the military people Mac encounters are based on real Aussie soldiers. I generally write on a laptop at a large dining table. Counter Attack was written at a table in my fiancée’s farm house in southern Ontario. I’m currently writing a novel called Arctic Floor, and one of the transitions wasn’t handled very well. I had to go back and rewrite several chapters, and a lot of material went in the trash. I read a lot of books. I don’t have TV so books – not newspapers – are my big downtime. I also spend as much time as I can with my son and daughter. I’m currently finishing Arctic Floor – an action-conspiracy-thriller based in North America – while researching the fifth book of the Alan McQueen series. Lured out of retirement, super-spy Alan 'Mac' McQueen is on a mission to prevent the ambitions of one man to overthrow the Chinese government and reduce Asia to radioactive ashes. 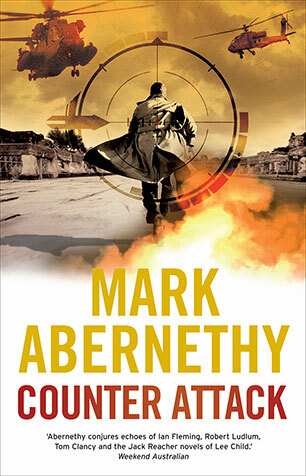 With action sequences to rival the most expensive Hollywood blockbuster, Counter Attack is an explosive thriller - sure to keep you up all night. Intelligence agent Alan 'Mac' McQueen returns in a action-packed and gripping new thriller. This time he's putting his life on the line to fight the forces who will stop at nothing to destroy the independence movement in East Timor. Australian spy Alan 'Mac' McQueen is drawn into a deadly game against old terrorist foes in a bid to prevent them using a mini-nuclear device on Australian soil. 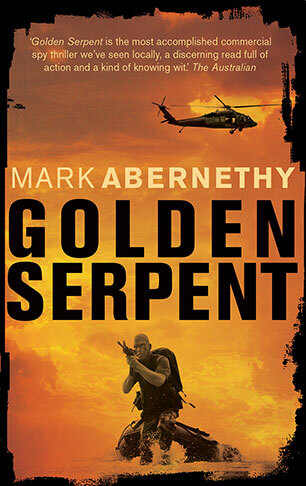 A fast-paced, action-packed new adventure from the author of Golden Serpent. 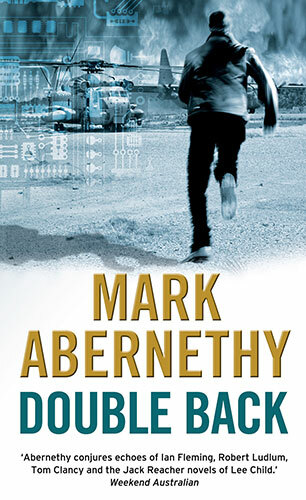 Meet Alan McQueen - a tough, true-blue Aussie spy - in a fast-paced and action-packed thriller. He's on the trail of Abu Sabaya, the world's most dangerous terrorist - a man he thought he'd killed years ago.